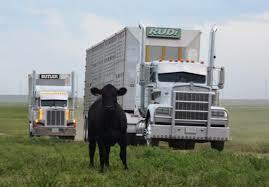 The fact that haulers are transporting living things changes the whole picture and story. The welfare of the animals and for them to not have to stay in the transport vehicles for any longer than absolutely necessary is at the utmost concern. The time frame being made longer by this stupid new suggestion puts animals in harms way being they will be off feed and water and in cramped conditions. This is yet another incident of government agencies who don't have a clue about what they are talking about making decisions that they have no business even thinking about.